This fast-paced capital is the ultimate urban playground, with its ever-growing cityscape and still waters of Doha Bay in the background. The newly opened National Museum of Qatar in Doha gives voice to the unique story of this intriguing culture and its people, from ancient times right through to present day. Innovative Doha is a sleek, dry metropolis which is starting to become noticed for its historic culture, modern art, and architecturally-led building designs. There’s so much to explore. Spend your mornings seeking out the waterfront and exploring landmark architectural icons before dining on Arab cuisine and dates for lunch. Finish your day with a visit to a bustling Souq market and a stroll along Doha’s Corniche. 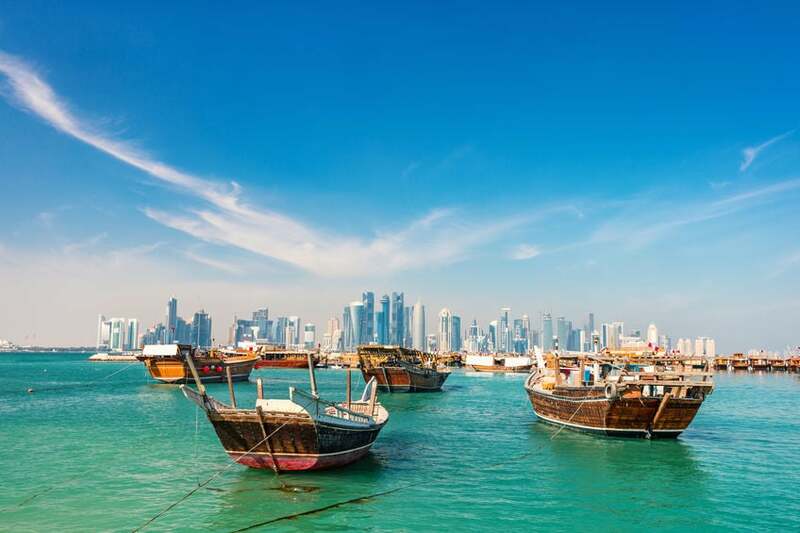 Now is the perfect time to travel to the Qatari capital, as you can comfortably enjoy milder temperatures from now until May, and the streets and markets won’t be as crowded. 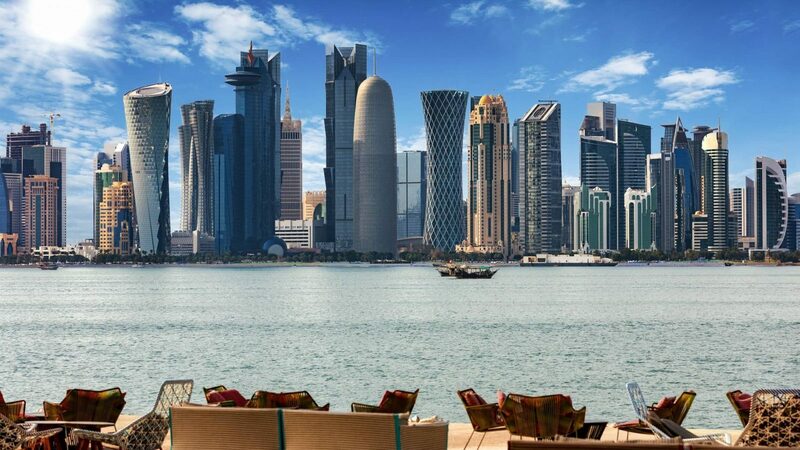 What’s more, the unrivalled 5-Star Mandarin Oriental Hotel in Downtown Doha has only just opened, with sumptuous interiors, nine restaurants, and silk-draped suites offering wondrous views of the city. 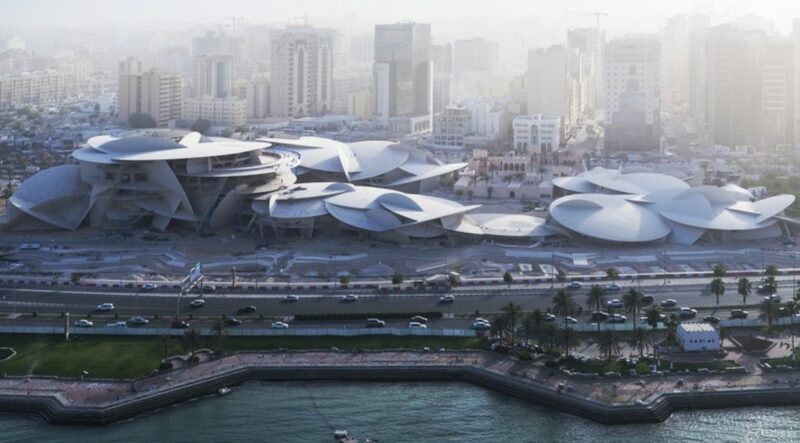 In March this year, the greatly anticipated National Museum of Qatar opened in central Doha. Helping to place the city at the forefront of modern architecture, the museum is a ground-breaking, immersive centre of culture. Pioneering innovation can be seen in every element of the building. Designed by renowned French architect Jean Nouvel, who also designed the towering Burj Doha in 2012, the remarkable structure is both angular and curved with a series of interwoven discs. This extraordinary museum has been designed inside and out to mimic the intersecting discs of a desert rose. 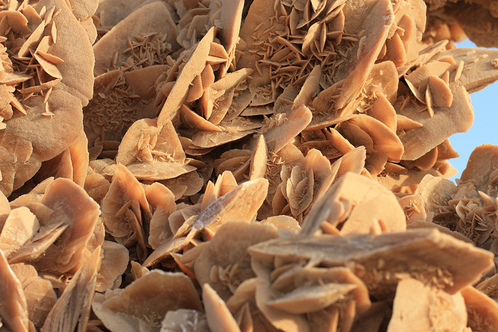 For the people of Qatar, the desert rose symbolises hope; that there is water underneath the dry, arid sands. It is this message of hope that the organisers of the museum want visitors to take away from their experience. The building has taken eight years to complete, with a curated collection which will educate and inspire visitors, students, foreign workers, and tourists alike. With over 8,000 pieces, along with various films and art installations, the museum focuses around the natural and anthropological history of the region, including the development of Bedouin tribal culture. The curators have also wanted to highlight the role of women in Qatar society, with female filmmakers and artists contributing to the exhibits. Another key theme at the museum is the importance of water in Qatari culture. Pearl diving was once the driving force behind the economy, with the country producing some of the world’s finest pearls used in a number of prestigious decorative pieces, including European tiaras. The Souq Waqif is one of the most atmospheric and interesting places to explore in Qatar, and it’s the best place to fully immerse yourself into Qatari culture. 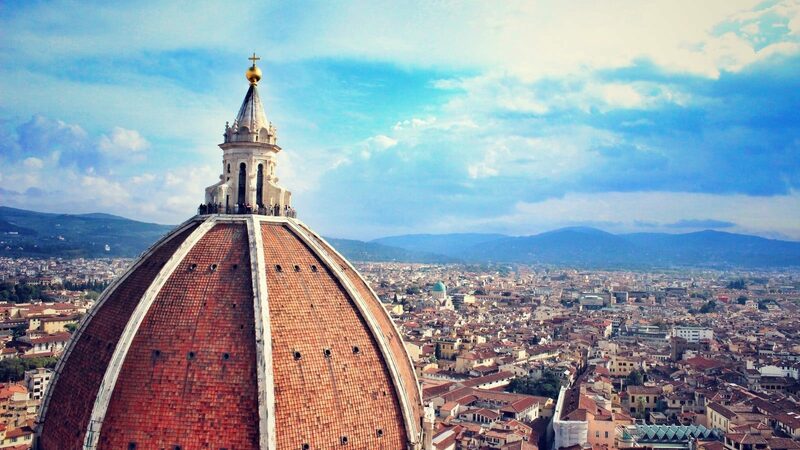 With everything from spice stalls to a falcon hospital, there is so much to explore among its winding alleyways. Translated as “standing market”, Souq Waqif has a history dating back a century when Bedouin would bring their sheep, goats and wool here to trade for essentials. The story goes that the souq would be frequently flooded, causing the locals to sell their goods while standing up, hence the name “standing market”. Appearances can be deceiving however, for despite the mud-rendered shops, exposed timber beams and cobbled lanes; the entire site was built in 2006. 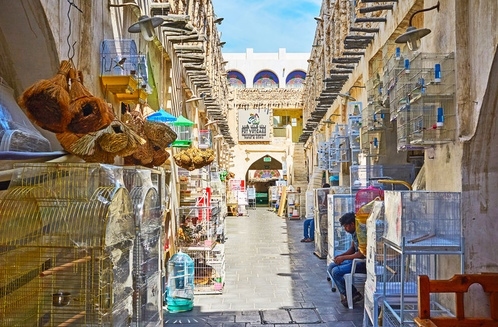 While the Souq is built on an ancient original market, it is a splendid example of recreated history, a market brought back to life with pseudo-aged architecture standing side by side with beautifully restored original buildings. In Qatar, the main meal of the day is eaten at lunchtime. Traditionally, the biggest meal of the week is served on Friday, always at midday after prayers. 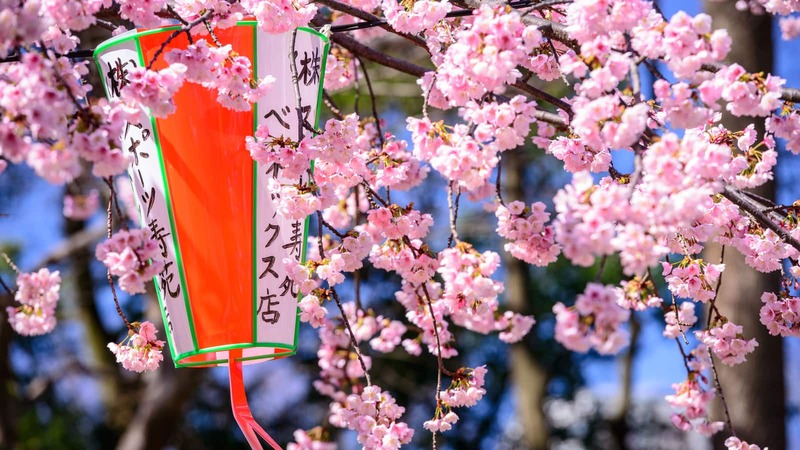 This special meal is a chance for the whole family to come together and share their news. You’ll find that cutlery is not often used, but a flatbread is used to scoop up food. Doha is quickly emerging as one of the richest cities in the world, but it is still steeped in its old customs. It is hardly surprising that the local food here reflects this rare contrast. Choose to indulge in exquisite fine dining, or try traditional street food influenced by a variety of cuisines from around the Middle East. Machboos is the national dish of Qatar, a traditional Saudi Arabian rich stew made from spices and either meat or seafood, usually served with rice. 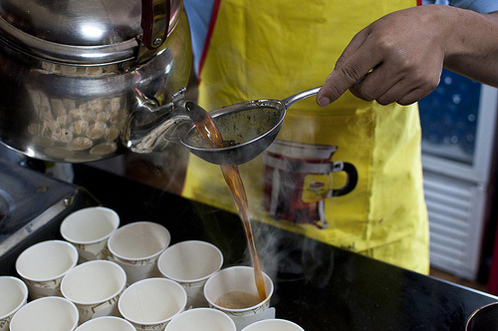 You’ll find that Karak tea, which is made with milk, sugar and cardamom, is served after every meal, but is also enjoyed throughout the day. The numerous tea shops dotted about the city will often have hordes of local customers all clamouring for their tea fix. You cannot visit Doha without treating yourself to some halwa, which is a traditional Arabic confection and can be brought from artisan shops in the souqs. A bit like thick jelly, halwa is usually made with traditional spices and rose water in a large cooking pot.